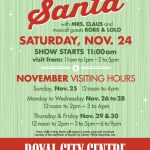 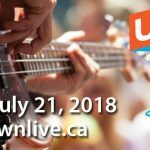 Uptown Unplugged brings the music back to Uptown New West! 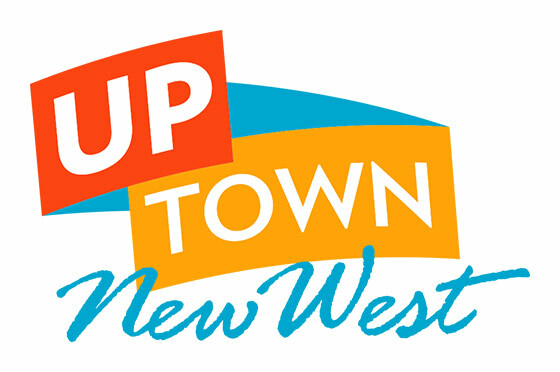 This weekend marks the return of Uptown Unplugged and music to the streets of Uptown New Westminster. 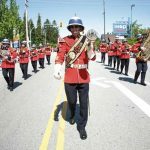 From June 2-September 9th, we’re thrilled to be hosting fantastic local musicians in front of Westminster Centre on Saturdays and Royal City Centre on Sundays. 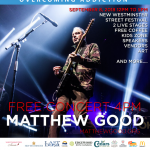 Thank you so much to the Arts Council of New Westminster for bringing these amazing musicians to Uptown and the rest of New Westminster. 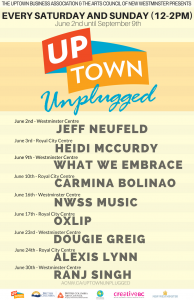 Keep up to date on the Uptown Unplugged schedule on our events calendar and the Uptown Unplugged website.